The Canadian military’s top intelligence officer says his branch only collects information on citizens under exceptional circumstances and usually at the behest of other federal government departments. 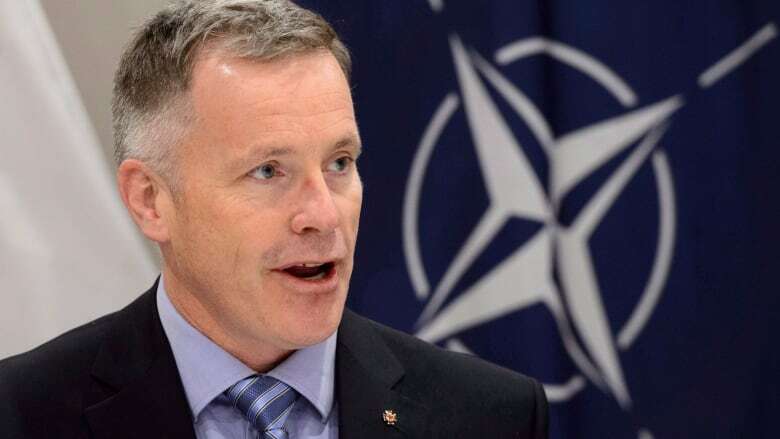 In an interview Wednesday with CBC News, Rear-Admiral Scott Bishop responded to the release of the National Security and Intelligence Committee of Parliamentarians' first annual report and its plans for further review. The committee has signalled it will produce a special report this year on National Defence's "collection, use, retention and dissemination of information on Canadian citizens." The committee's chair, Liberal MP David McGuinty, was circumspect when asked why the bipartisan committee of MPs and senators wanted to look into the issue, although he suggested that committee members' curiosity was piqued by a submission they received last fall from defence officials. Committee members have never said publicly what was in that document. "It's actually a good thing," Bishop said. "It's really important that in this day and age ... there is as much transparency as we can give around the intelligence mission. And I think the committee made an honest effort to look at how we do our business." University of Ottawa intelligence expert Wesley Wark said the committee has keyed on something it believes is significant by focusing on the military's information-gathering activities as they relate to Canadians. Bishop said that military intelligence "conducts very limited activity in Canada" but insisted there are appropriate checks and balances already in place. "Anything that we do in the intelligence world has to comply with all Canadian laws, including things like the Privacy Act, and we also have to comply with international law when we are providing intelligence support to Canadian Forces missions overseas," he said. "There's a lot of people around the world who would like to know what we're thinking and what we're doing," said Bishop. "We do have a counterintelligence organization, but it is essentially looking at ourselves. It's looking at people working in National Defence. "They are in our civilian workforce and our military workforce, you know, making sure that we're not being exploited by someone who is looking for their own intelligence." Bishop said he couldn't comment on the notion of putting a legislative leash on military intelligence, similar to the ones civilian spy agencies operate under. "Our interests is making sure that we are able to be agile enough to be able to support operations, and I would just leave it at that," he said. "You know, in terms of legislation that might or might not come, I'm really agnostic to any of that." "I'm confident that there are ways to be found to do that without interfering with the kind of operational flexibility that the ... Canadian Armed Forces need when deploying overseas," Wark told CBC News on Wednesday. "So I think this is something that's that's bound to come." The need for laws is implicit in Bishop's acknowledgement of support for other government departments, he said. "It's bound to come as a product of the fact that the defence intelligence activities have expanded so greatly that they touch on kind of many areas of Canadian intelligence activity," Wark said. The idea the military should have "some special dispensation" that does not apply to CSIS and the Communications Security Establishment (CSE), Wark said, is not an argument that can be sustained over the long run, particularly as the military conducts more cyber operations. "It is the kind of capacity that CSE, for example, knows can involve the capture of Canadians' private communications and (that) can raise (Charter of Rights) issues," he said. "I think the department itself will probably, in the end, find it helpful to have that legislative authority rather than have to reassure themselves internally that what they're doing comports with Canadian and international law."